Even more dense brand of foam in this category than the previous PPP 10 GOST. 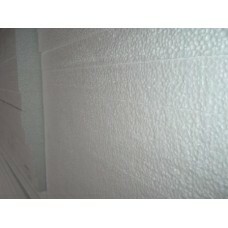 More resistant to moisture and frost insulation. It is in demand due to the optimal characteristics and affordable prices. 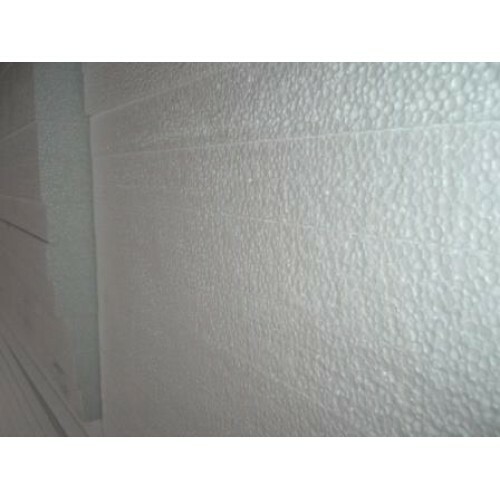 Thermal insulation properties of the brand are good, as in PPP 14 GOST, and the density of polystyrene foam allows you to apply a high load. PPS 13 GOST is used for insulation of walls in the well masonry (for example, between the main wall and cladding), insulation of floors without load (for example, attic), insulation of floors (for example, between the rough and finish floors between the support logs), various outbuildings, houses for temporary accommodation, construction cabins. Perhaps the main feature can be called the density of this brand, which allows the use of foam more widely than the plate brands below. We also recommend that you protect such polystyrene foam from atmospheric influences for a longer service life. He is not at all a" sissy", as you might think; not afraid of water, the sun burns out only after a long time. And yet, to the foam for a long time did not lose its qualities, it is better to protect. And how to protect polystyrene, you can read our article. More dense brands choose in the section polystyrene PPS, other types of expanded polystyrene can be found in the catalog. Use with a minimum of further cutting of foam can be, if you purchase sheets of the desired size and properly plan the work. To order the desired format, please contact us in a convenient way. If you "adjust" a small amount, then use a stationery knife with a rack or saw a hacksaw in the desired size. You can glue vinyl acetate transparent glue, and for brick and concrete offer a special glue. Use foam to close the joints. To the tree can be fixed with screws with washers, and to the mineral bases with dowels with nails. price per piece 217 rubles. price per piece 207 rubles. price per piece 197 rubles. price per piece 192 rubles. price per piece 434 rubles. price per piece 414 rubles. price per piece 394 rubles. price per piece 384 rubles. Features of brand PPS 10 TUYou need to take into account that this brand of foam will quickly lose q..